SINGAPORE - Deputy Prime Minister Tharman Shanmugaratnam has been reappointed chairman of the Monetary Authority of Singapore (MAS) board, while Mr Lim Chee Onn, senior international advisor at Ascendas-Singbridge, will be stepping down, MAS announced on Friday (April 20). Mr Lim, a former Cabinet minister, will retire from the MAS board and his post as chairman of the risk committee on May 31. Said Mr Tharman: "Mr Lim served as an active member of the MAS board for more than 14 years. As chairman of the risk committee, Mr Lim played an important role in strengthening MAS' risk management framework and crisis management preparedness." Along with Mr Tharman, four members of the MAS board have also been reappointed from June 1, 2018, to May 31, 2021. They include Finance Minister Heng Swee Keat; president of the council for estate agencies Quek See Tiat; Enterprise Singapore chairman Peter Ong; and chief health scientist at the Ministry of Health, Professor Tan Chorh Chuan. 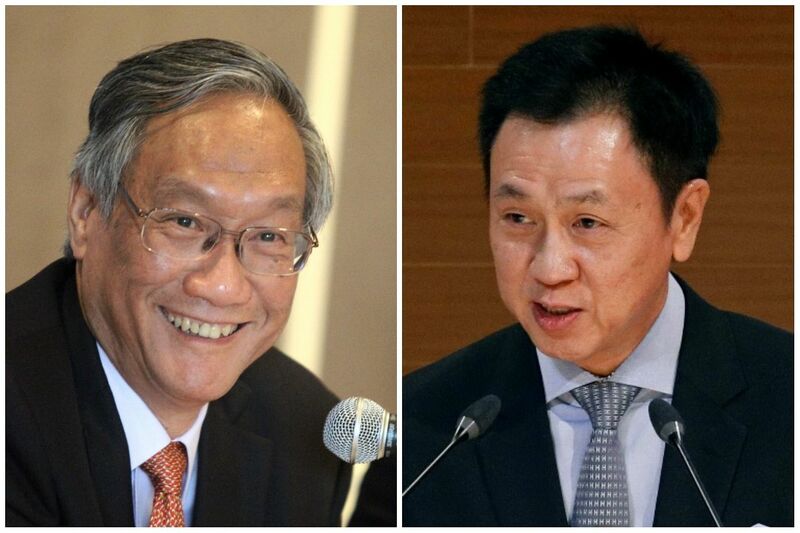 Mr Quek See Tiat will be reappointed as chairman of the audit committee, while Mr Ong succeeds Mr Lim as chairman of the risk committee, effective June 1. MAS said Mr Chaly Mah, chairman of the Singapore Tourism Board and of Netlink NBN Management, will be joining the MAS board. NetLink NBN Management is trustee-manager of listed NetLink NBN Trust. His term of appointment will be from May 1, 2018, to May 31, 2020. Mr Mah worked for accounting giant Deloitte for 38 years before retiring in May 2016. He was formerly CEO of Deloitte South-east Asia, and chairman of Deloitte Singapore. MAS also announced the appointment of Mindef's chief defence scientist Quek Gim Pew to the risk committee as a non-board member from May 1, 2018, to May 31, 2021. Said MAS: "Mr Quek's specialist expertise and deep experience in technology and cyber risk management will help to enhance MAS' capabilities in these areas."